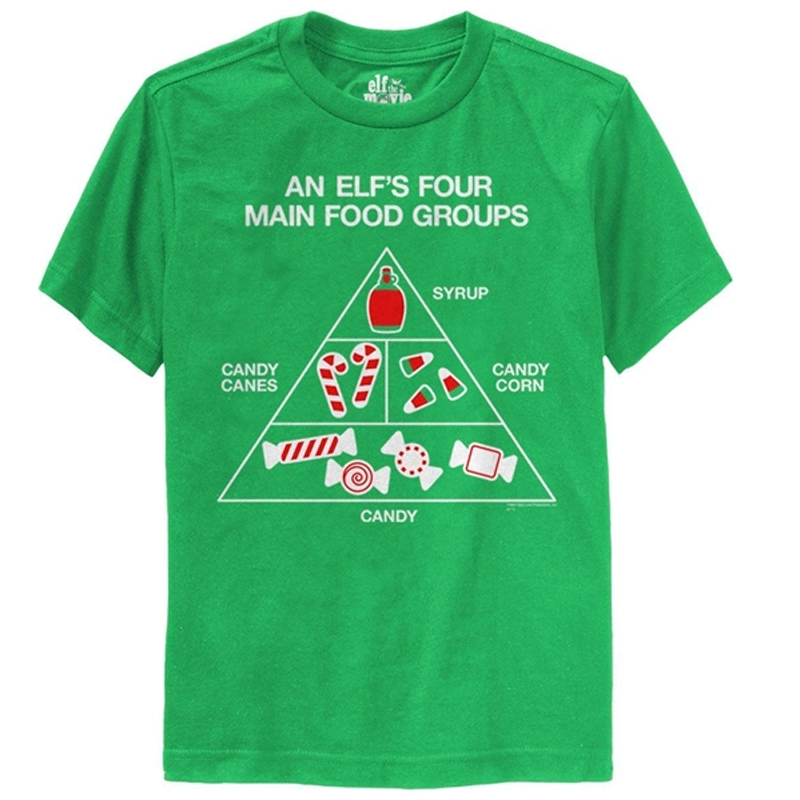 If Buddy the Elf were in control of your diet, you'd be one happy human! We all want to eat nothing but candy and sweets, all the time. For now, you can treat yourself every once in a while and smile when thinking about living life as an Elf. If you wish hard enough, Santa may even grant you that wish one fine Christmas morning. These Shirts are youth sized, so you'll be able to fit them on those cute, lil' Elves of yours. Feature: - Youth sized. 100% cotton.